The Kate McLaren Snatcher is just one of the very versatile Snatcher series of flies that works particularly well when trout are patrolling the upper layers of the water. Although it was originally developed as an imitation of the large buzzer pupae on Scottish Lochs, it works it's magic on most still waters where there are trout. When fish are feeding just sub-surface, but not taking dries, two snatchers fished just under on a light leader can often be really successful. Fish the snatcher the way you fish the buzzer. A slow figure of eight with the occasional 'pull' can give great sport. 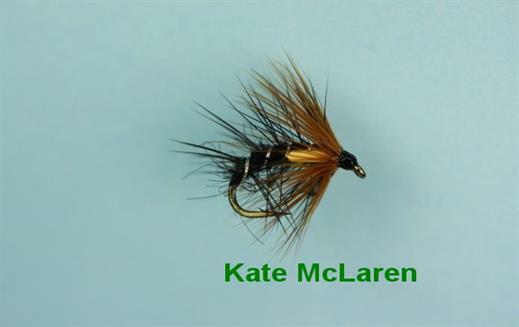 Currently there are no comments about the Kate McLaren Snatcher fly pattern from other fly fishermen yet.